Special guest Timothy B. Tyson will speak at the opening reception. Tyson was a child when the 1970 lynching of Henry Marrow occurred in his hometown of Oxford, N.C. He remembers the moment he heard about the murder of the 23-year-old black man. His book, Blood Done Sign My Name, is a historic account of the race violence, tension, and riots that surrounded the events. Tyson’s father, a minster, supported the Civil Rights movement, which incited anger in the small town. His family eventually fled Oxford. These events had a great impact on the child who would grow up to become a scholar on the history, and current realities, of racial prejudice in the United States. He also wrote The Blood of Emmett Till, which shed new light on the 1955 kidnapping and harrowing murder of a 14 year old boy. Tyson will address how the past can inform the present in our current work toward healing the prejudices that divide us. Tyson will address how history can inform the present in our current work toward healing the prejudices that divide us. Tyson is a senior research scholar at the Center for Documentary Studies at Duke University. He also is an adjunct professor at the University of North Carolina. 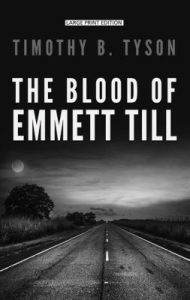 According to Duke’s Center for Documentary Studies website, The Blood of Emmett Till has received many accolades including the 2018 Robert F. Kennedy Book Award. It made the “long list” of ten books for the 2017 National Book Award. The Los Angeles Times and National Public Radio selected it as Best Book of 2017, while the Atlanta Journal-Constitution named it Best Southern Book of 2017. 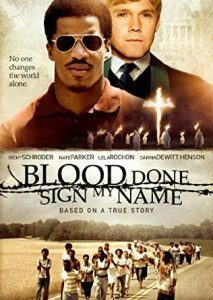 Tyson’s book Blood Done Sign My Name was a finalist for the National Book Critics Circle Award, winner of the Southern Book Award for Nonfiction and the Grawemeyer Award in Religion. Tyson was executive producer of Mike Wiley’s 2008 play and writer-consultant for Jeb Stuart’s 2010 feature film adaptation by that title. He is co-editor with David Cecelski of Democracy Betrayed: The Wilmington Race Riot of 1898 and Its Legacy, which won the 1998 Outstanding Book Award from the Gustavus Meyers Center for Human Rights in North America and author of Ghosts of 1898: Wilmington’s Race Riot and the Rise of White Supremacy, which won 2007 Excellence Award from the National Association of Black Journalists. He serves on the executive board of the North Carolina NAACP, Repairers of the Breach, and the UNC Center for Civil Rights. Tyson has also been active in the NC-NAACP “Moral Monday” Protest Meetings with the Rev. William Barber at the NC Legislature Building in Raleigh, NC. 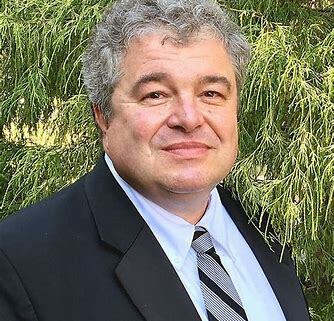 Tim Tyson to Open the 2019 50th Anniversary Conference of the Southeast Institute: What Can We Learn from History? The “Promoting Equality and OKness: Healing the Divisions in Our World” conference committee announces special guest Timothy B. Tyson will speak at the opening reception. Tyson was a child when the 1970 lynching of Henry Marrow occured in his hometown of Oxford, N.C. He remembers the moment he heard about the murder of the 23-year-old black man. He was bouncing a basketball. His book, Blood Done Signed My Name, is a historic account of the race violence, tension, and riots that surrounded the events. Center for Human Rights in North America and author of Ghosts of 1898: Wilmington’s Race Riot and the Rise of White Supremacy, which won 2007 Excellence Award from the National Association of Black Journalists. He serves on the executive board of the North Carolina NAACP, Repairers of the Breach, and the UNC Center for Civil Rights. Tyson has also been active in the NC-NAACP “Moral Monday” Protest Meetings with the Rev. William Barber at the NC Legislature Building in Raleigh, NC.